As projects are added, the responsibilities and oversight of this position will grow. 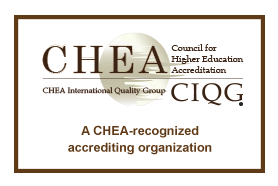 Responsibility for accreditation-related activities may be added, based on interest. Manage all aspects of the Annual COSMA Conference including the call for abstracts, program development, conference site management, conference registration, post-conference follow-up and delivery options (e.g., virtual). Manage all aspects of Chi Sigma Mu (CSM) – the COSMA student honors society. This includes working with a subcommittee to establish chapters, reexamine parameters for admission into CSM, manage the nomination and selection process of inductees and any additional elements. Manage the Student Engagement Task Force and responsibilities including: Student/faculty mentorship program, student research presentation category (awards), maintain student internship/job board, host virtual meet and greets, resume/cover letter practitioner feedback, student success stories. Play an active role in considering new projects and programs in conjunction with the Executive Director. Utilize social media for all aspects of project management (website, Facebook, Twitter, etc.). Manage additional projects, as determined by the Board of Directors. Salary: $12,000 per year in increments of $1,000 per month. Hours vary from month to month due to normal organizational cycles (ranging from an average of 15-50 hours per month). You will be responsible for performing the duties and providing the deliverables outlined below. You control your own hours and can work for other entities as long as such work does not interfere with your COSMA duties. You will communicate on a regular basis with the Executive Director of COSMA and will provide reports to the COSMA Board of Directors prior to each conference call and in-person meeting (about four times a year). You will be paid a salary of $12,000 per year in increments of $1,000 per month, no later than the 10th of each month. Hours vary from month to month due to normal organizational cycles (ranging from an average of 15-50 hours per month). You will not receive any benefits, as you are an independent contractor. You will be responsible for paying all required taxes. You will receive a 1099 form annually from COSMA. You will provide the office space and equipment necessary to conduct the duties and deliverables of this contract including but not limited to computer, printer/scanner, high speed internet access, smartphone (for calls, email and internet access). Costs associated with office space and durable equipment will not be reimbursed by COSMA.